Performers: Leon Franzke (DE) & Nanna Hanfgarn Jensen. NEON is a choreographical-collective that consists of Nanna Hanfgarn Jensen & Leon Emil Franzke. The two dancers/makers are both soon to be graduates at ArtEZ institute of the arts. They started collaborating in 2015, and on wards their work accumulated. A saga of homos, cyborgs and other religions. 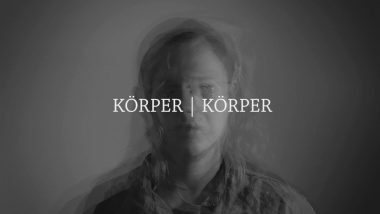 Körper | Körper explores the concepts of body, gender and identity. Through mystery and humour the performance touches upon a contemporary question, which the performers approach in a personal yet universal manner. The performance invites you into a world of homos and cyborgs through fluent transitions and heavy dancing. The performance emerged from a need for proper discussion and reflection. To express a part of Leon’s, life that shaped who he is today. The story is being told through Nanna; the feminine in the masculine, the woman in the man. Nanna can be seen as an earlier body of Leon. The body he finally got rid of, but often looks back upon and constantly confronted with, wherever he goes. The work NEON has been presented in Iceland, Sweden, Denmark, Germany and The Netherlands. The duo was subsequently selected to be part of the residency program Uurtje Oost for upcoming makers at Generale Oost. To get you in the mood; have a look at this!